There are some courses that golf enthusiasts just love to play. Eagle Ridge Golf Club is one of them. That’s because of it’s challenging fairways, interesting elevation changes and unique topography not usually found in most shore golf courses in New Jersey. 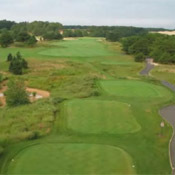 In fact, Eagle Ridge has been voted one of the best courses in Ocean and Monmouth Counties. Eagle Ridge Golf Club, is a semi-private club located in Lakewood, New Jersey, that features a spectacular 27-hole Championship Golf Course with generous fairways and bent grass greens. A natural pinelands look is maintained throughout the course. This meticulously manicured course offers breathtaking views and rolling bluffs. A 25,000 square-foot clubhouse is home to a well-stocked golf shop, men’s and women’s locker facilities, private member lounges, and an superb full-service restaurant and bar. Eagle Ridge Golf Club is also the perfect place for any special event. From weddings to retirement dinners, we have exactly what you’re looking for.